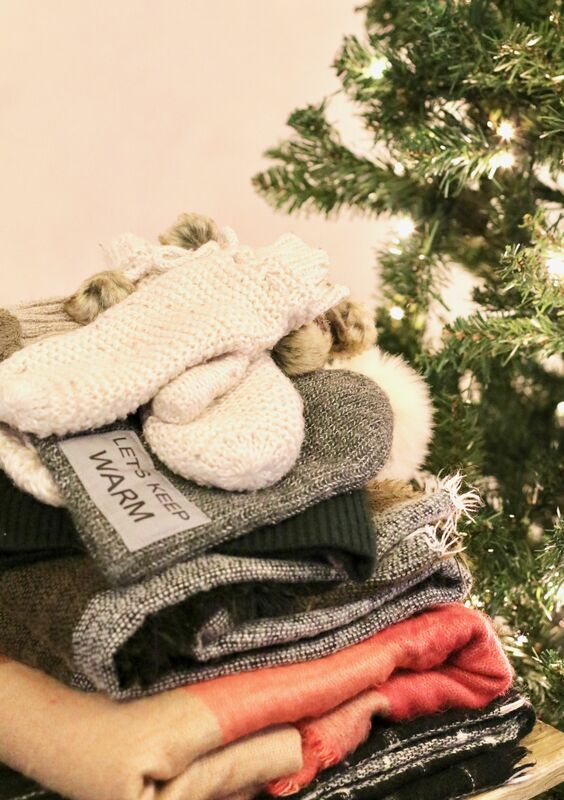 How to give back during the season of giving. This is a question I find myself frequently asking. There are so many ways we can give back that I can’t possible write all of them within this post, but I hope the ones I have suggested give you some insight and inspire you to give whatever, and however, you can to those in need. Earlier in the year I decided I want to do more at Christmas on my blog, of course there are the typical Blogmas posts: gift guides, Christmas ideas, tasty recipes, the best Christmas movies and so forth, but I didn’t feel that was enough. I wanted to tell people how to share this festive season with others and inspire you to give back during this season of giving. The suggestions I’ve written about below are only a small number charity gift giving ideas, but I hope it gives you some idea of what you can do for others at this festive time. If you can spare any money for a donation – no matter how large or small, your time, or even suggest a fundraising day at your work place, anything will be very much appreciated. Tuesday 27th November is Giving Tuesday, the biggest donation day for charities. So please support a charity that is close to your heart. Friends of the Elderly is a charity dedicated to helping elderly people, whether it is by providing grants for much needed things we take for granted, or by providing comfort in their care homes. This year they are focused on providing elderly people with necessities during winter like heating, insulated windows, cookers, a microwave to heat up meals, and so much more. To some of us these things are the ‘basics’, but to others these are not easy to come by. One story that is very hard hitting is of a woman who spent 5 years without heating and hot water, who now, thanks to Friends of the Elderly, is safe and warm. Sometimes it’s hard to believe things like this actually happen, but they are sadly part of some people’s lives. Friends of the Elderly are currently doing a crowdfunding campaign (here) whereby you can donate how ever much you can spare, or donate certain amounts through the ‘donation reward’ section, which means you can get thank you goodies as a gift of appreciation for your help and generosity. (Psst: some of the gifts were kindly donated by Cath Kidston). Any amount you can spare will help, whether that’s £1 or £100. In addition every £1 donated will be matched by The ACT Foundation. Their target is £3,000, which means it could potentially end up being £6,000 raised to help vulnerable elderly people. Let’s help them smash their target! You can check out the Friends of the Elderly campaign here. Crisis is a great charity, and I’d be surprised if you haven’t heard about them before. They work around the year to help support people out of homelessness by providing food, shelter, a hot shower and health checks. You may be aware that homelessness has been on the rise over the last few years, so it’s very important to try and help when we can. During this season Crisis are asking for donations to support a person out of homelessness and give them a place at Crisis this Christmas. One place is £28.18, but you can donate how ever much you can here. Community Christmas is an organisation that helps communities to provide companionship to older people over Christmas. They have created an amazing database so you can check out what’s going on in your local area and see if you can help, but it also provides information for older people to discover events they can go to to meet others – even if it’s only for an hour. Some of these events include: coffee and cake sessions, a film screening, or meeting up with other older people at a local restaurant or pub. One of the amazing things about this database is that you can search local area to see what’s going on, and if you can help in any way. So far in my area I have found that a Church and community centre are providing Christmas lunches free of charge, and some can even be delivered to peoples homes. It can also tell you if a place is looking for volunteers to help out. Volunteers are usually always needs during this time, so if you can donate a few hours I know it’ll be very much appreciated. £2 Helps answer a call from an older person. £5 Will help match an older person to a local event. There are many animal charities that offer ‘adopt an animal’ as part of a monthly donation gift to someone or for you to buy for yourself. I did this with WWF years ago, and I still have my rhino cuddle toy – and yes, I still donate every month. As I said before, with WWF you can adopt an animal for you or for someone else as a lovely gift here. Just £3 a month can help them protect some of our incredible wildlife that are vulnerable or endangered. If adopting an animals isn’t your thing, you can simply donate whatever you would like so that WWF can help fund causes around the world, from: paying a rangers salary, buying seeds for forests, and safe-guarding our the worlds wildlife. If you wish to make a donation you can do so here. 14 years ago me and my family adopted two kittens from Cats Protection and it was the best experience. Not only did we adopt two kittens that may have been left without a home, but they filled our hearts with so much love and loads of memories – and still make us laugh with their antics. If you are thinking of adopting a cat make sure you check out their adoption page here. Along with adopting an animal, you can also sponsor a cat here so they can be cared for, be in a safe and warm environment and provide food for so many cats who sadly do not have homes. Please remember, a pet is for life not just Christmas. Whenever I see a guide dog it always makes me smile. They are so well trained, and help so many people. By donating to the Guide Dogs you won’t just be helping train a puppy, you’d be giving someone who is visually impaired or hard of hearing a way to live their life to the fullest. You can sponsor a puppy yourself or gift a sponsorship to someone else (here), which would make a lovely gift. Another way to support the Guide Dogs is by donating certain amounts to help buy much needed equipment to help these amazing dogs learn how to be a guide dog and help support a partnership (here). If you have an older neighbour you could drop by and ask if they need anything – sometimes this can be intimidating, especially if the person has suffered with loneliness for a long time, so if in doubt start small and ask if they would like a pint of milk, or a newspaper/radio times, or anything else as you’re already going to the shops. This small interaction could not only make someones day – just as a smile can, but gives them the opportunity to ask for any necessities they may need. If you think they are comfortable with you’re neighbourly friendship, you could also ask them if they’d like to join you for Christmas day, or pop round on Christmas day with festive mince pie and say Merry Christmas. Small gestures can have a big impact. Donate unwanted coats and winter accessories. Why not have a look in your wardrobe and see if you have any old coats, jumpers or winter accessories (hats, scarves, gloves etc) that you don’t wear anymore and donate them to a shelter, or perhaps ask someone who is homeless if they would like something. In addition, if you have any jumpers or dog accessories going spare why not donate them too as dogs are great companions for the homeless and they also need to be cared for and supported. As well as donating coats and other winter items you could also donate, or buy, some blankets and hand them into shelters, or hand them out to homeless people in your area. The winter nights get very cold, and anything you can do to help would be greatly appreciated. Churches and other charities usually ask for gifts to be bought and donated to help children and families in need at this time of year. The Salvation Army has a great list of what you can buy and donate here, which is very detailed and also lets you know where your nearest drop off point is. Thank you so much for taking the time to read this post from start to finish. If you have any other suggests on how to give back during the Christmas season please leave a comment below. As I said at the beginning, these are only a small handful of things you can do to give back during this season. If I could write them all up I would, but that would be an enormous challenge and this post would be very long indeed, but I hope I’ve inspired you in some way. On behalf of all charities, please remember that Tuesday 27th November 2018 is the Giving Tuesday, the biggest donation day for charities. If you can spare just £1 to donate to any one of these amazing charities, or a charity close to your heart, please do so and help support each other. I love gigivng back at Christmas. This year, my family and I are hoping to find a homeless shelter we can help out with and make sure the homeless get a good, hot meal. I also want to try and buy a few pairs of gloves etc ago give out to the homeless so they can be a little warmer. I may also look at getting a few gifts for people from WWF so that they can adopt an animal and help to protect it. I think it’s a really good idea. Such a lovely blog post. Really enjoyed reading it & im so happy to have found your blog. Oh wow! I’ve never done it before, but I would really like to. I’m thinking of organising a group of people to do it next year maybe.